Barstool Sports, the sports blog and podcast platform, this week launched a “Shark Tank” style startup pitch competition, “The Big Brain Show.” The competition invites Barstool readers to submit business ideas for the chance to pitch them in person to the site’s founder Dave Portnoy and other advisers. Barstool says it has set aside “seven figures” to invest in the best ideas. And the site received more than 1,000 submissions in the first 72 hours. But to Barstool CEO Erika Nardini, “Big Brain” is just one example of a larger shift happening at Barstool: the business is expanding into new verticals, and particularly trying to open its arms to women. The company has had major success with its podcasts, led by “Pardon My Take.” These days it has 25 podcasts. Last year, Barstool added three new podcasts hosted by women: “Chicks in the Office,” “Call Her Daddy,” and “Schnitt Talk.” Nardini touts a slew of female radio hosts the site has brought on recently, including Kayce Smith, Liz Gonzales, Kate Mannion, and Ellie Schnitt. 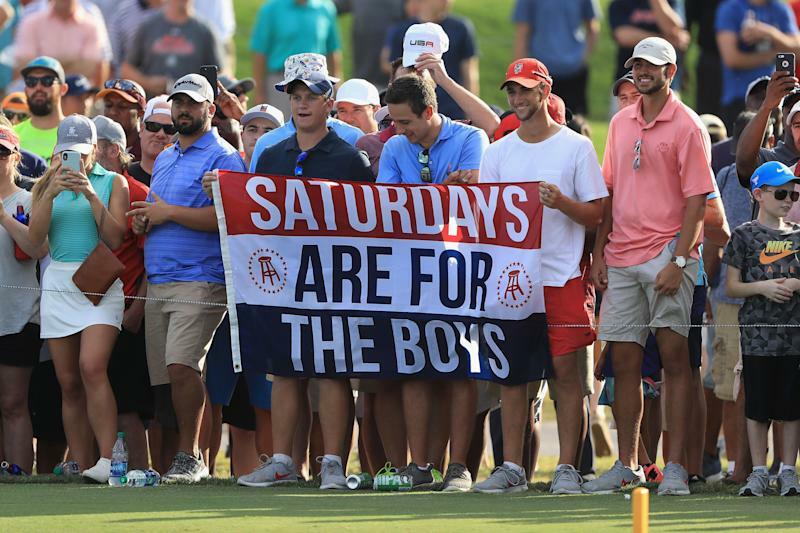 Barstool’s content for women has grown so quickly that in November, it went all in by dividing the site into two main sections: Barstool Sports and Barstool Chicks. Since then, monthly page views to the Chicks section are up 90% and are nearing 2 million, or 25% of the site’s 8 million monthly views. It’s happening on the executive side, too. “Our management team is predominantly female,” Nardini says. In 2017, former Yahoo and MLB exec Deirdre Lester joined Barstool as its chief revenue officer. Last month, Vice Media CFO Wajeeha Ahmed joined Barstool as its CFO. Of course, many in the media industry may scoff at the idea of Barstool Sports catering to women. Nardini has a blunt response when asked about all this history. “We don't care about the people who criticize Barstool,” she says. And the growth speaks for itself. As of Friday, “Call Her Daddy” was ranked No. 12 in all U.S. podcasts on Apple.